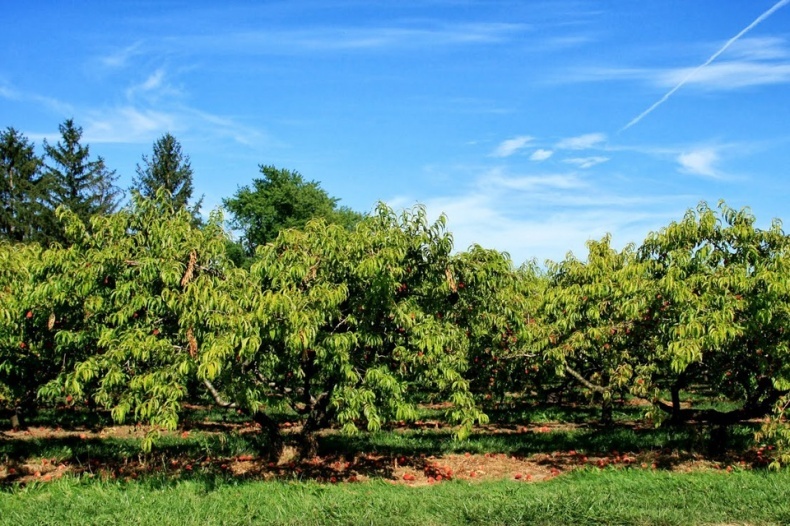 Blogs > Going Green in Toronto > Pick Your Own Fruit at Cherry Avenue Farms! 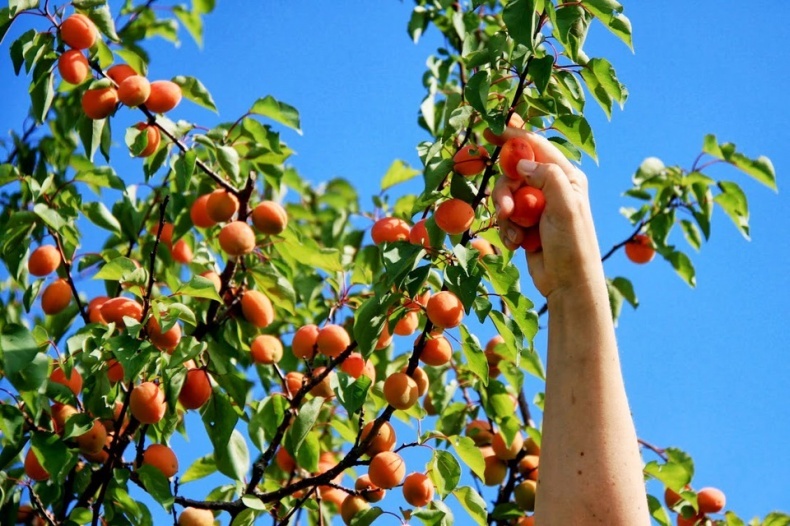 Picking your own fruit from the tree yourself. When the summer season is full on, nothing compares to buying fresh fruit at the local market, choosing what's ripe at the moment. Here you'll find sumptuous produce that's far from the watery strawberries we buy in the middle of winter that barely taste like fresh fruit. But what about getting the real-deal freshness? 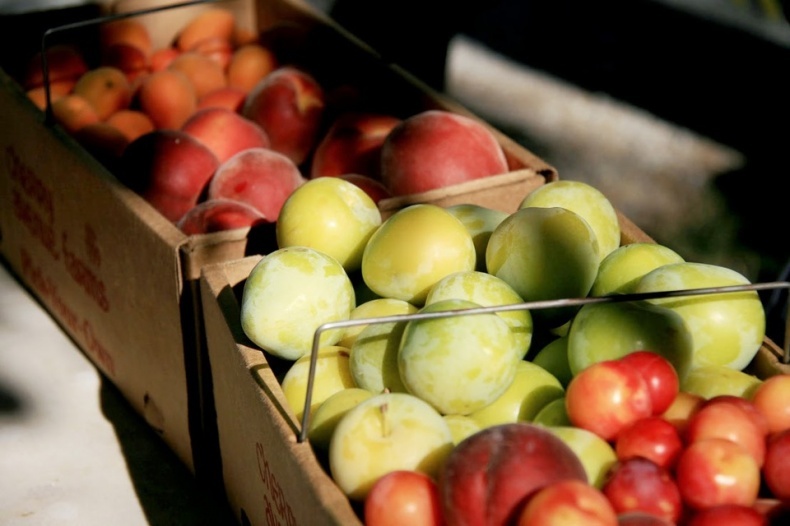 There is something even better than farmer's markets — picking your own fruit from the tree yourself! You choose which apples you like, and it can't get any better than this. When you stop and think about it, you can't get fruit that is any fresher. Picking fruit from your own garden wasn't unusual in the past, but as we moved to busy cities, we slowly disconnected from nature. So it's a welcome change when you visit a real farm where you can pick your own fruit. You get better prices for doing the work, and it's delightful to spend the whole day in the beautiful orchards. Plus, the feeling of work well done when you're clutching your box full of peaches is nothing less than satisfying. 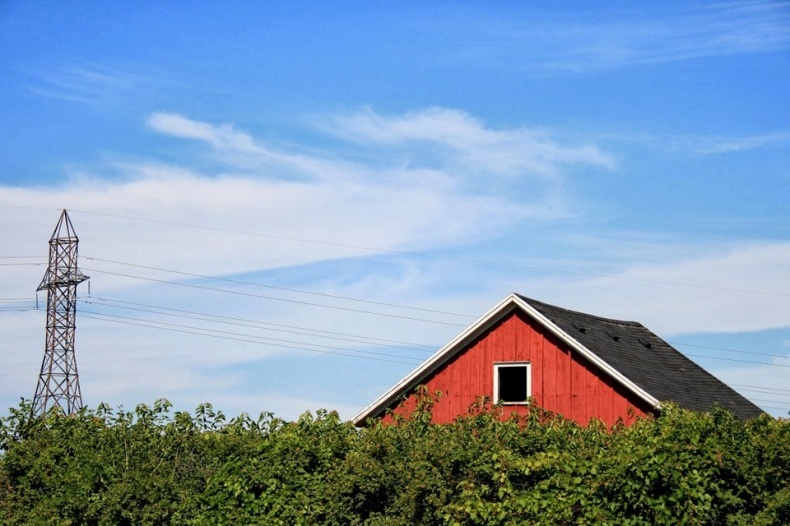 There are many farms around Ontario that offer this kind of experience, and we visited some of them and tasted their fruit. 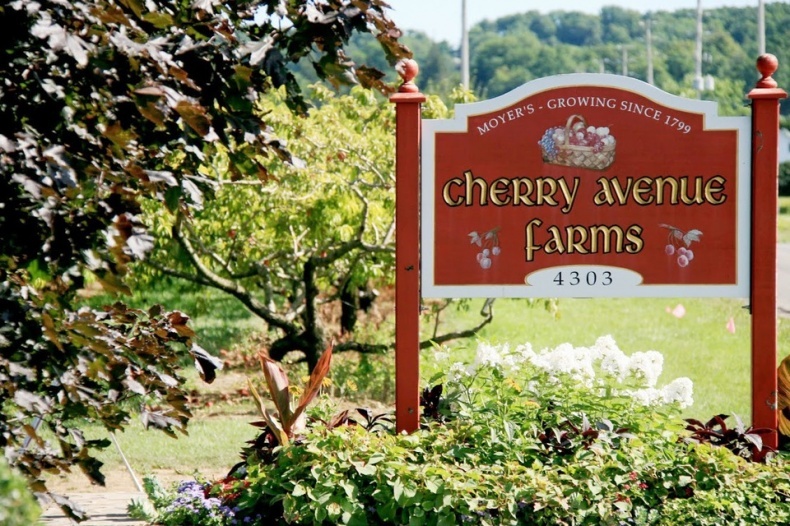 Cherry Avenue Farm is located in the beautiful Niagara Peninsula and has been owned and operated by the Moyer family since 1799. 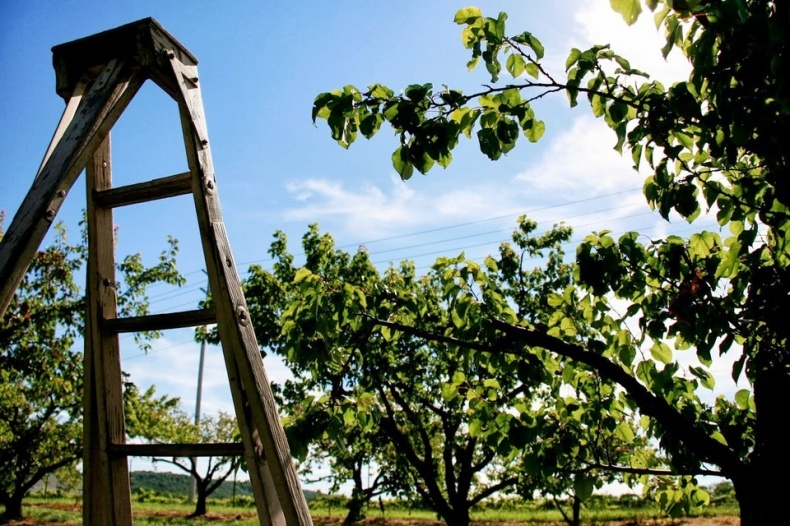 Today, the seventh generation of the family takes care of 126 acres of orchards of more than 18,000 trees and vines with many varieties and types of fruit. Now that's what we call a nice family tradition! ...freshness and quality go hand in hand. 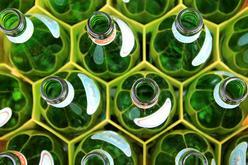 The quicker the fruit reaches the consumer the higher the quality will be. 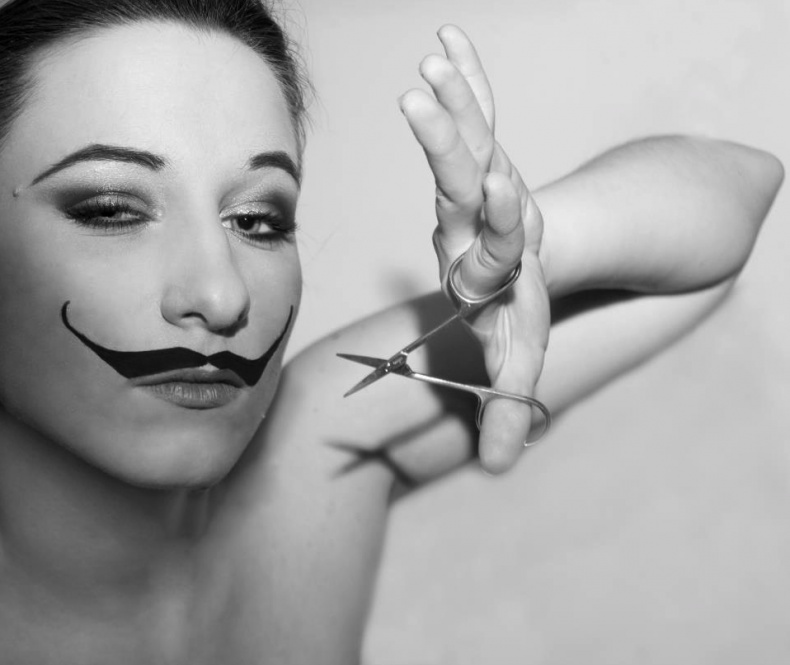 Here you do the picking yourself. When you stop and think about it, you can't get fruit that is any fresher. It's a perfect way to spend a day with family and friends. 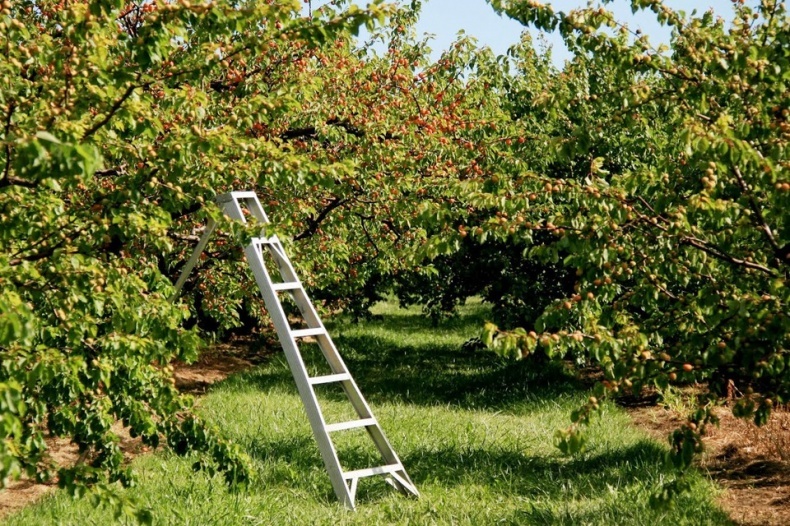 As most of the trees are fairly low, it's easy to pick the fruit even for a small child, who can reach the lowest branches without a ladder. 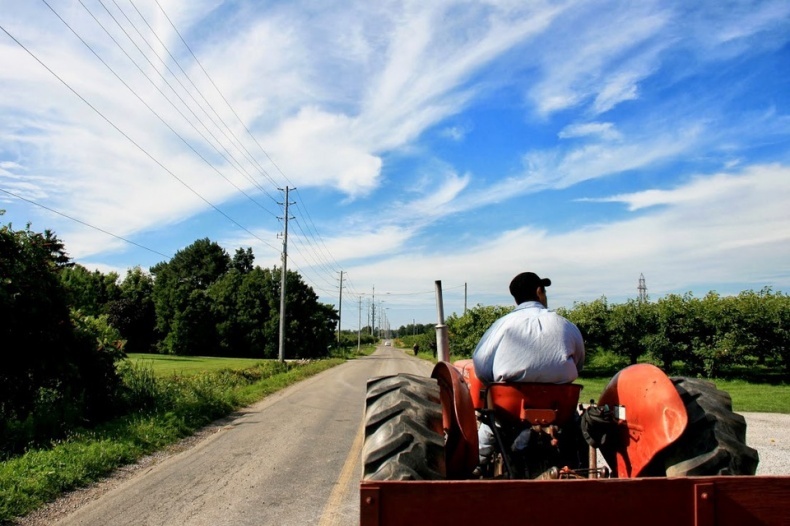 A fun ride on a tractor-train will take you to and from the orchards. 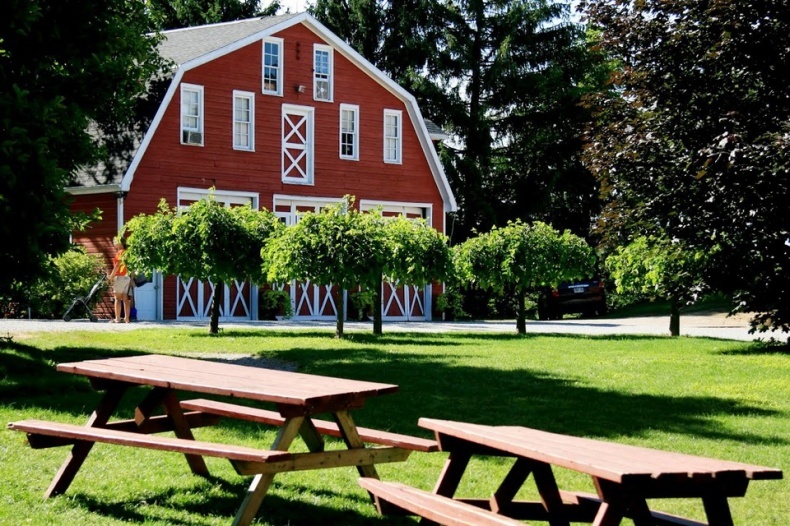 There are also picnic tables conveniently located in front and behind the beautiful red farmhouse. 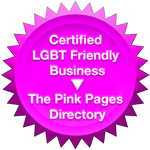 By selecting the fruit yourself, you're sure that each basket contains only the very best. 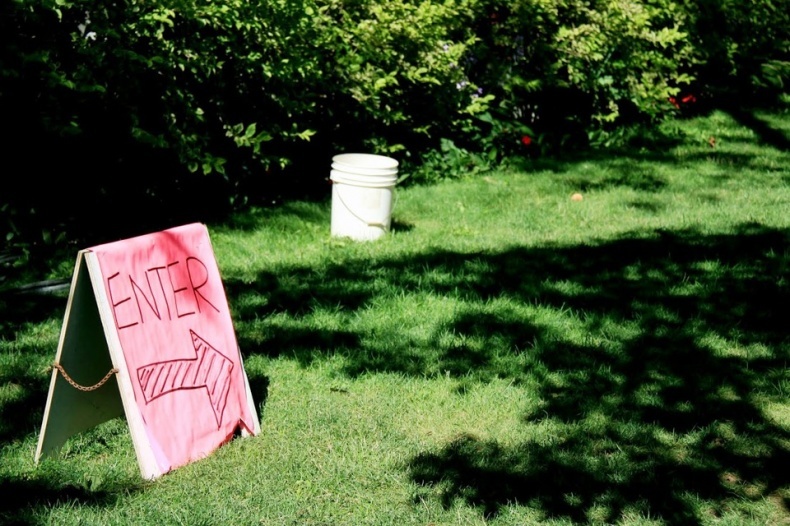 So don't hesitate to visit Cherry Avenue Farms while the season is still on! 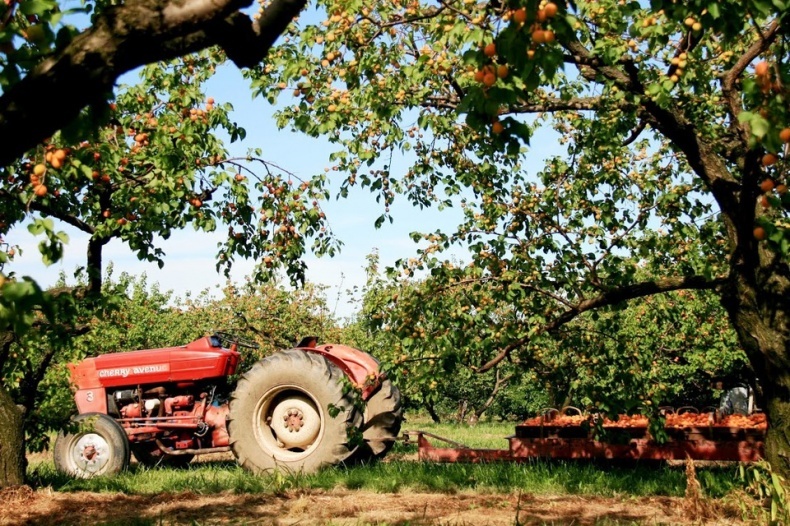 Take a tractor ride to the orchard.